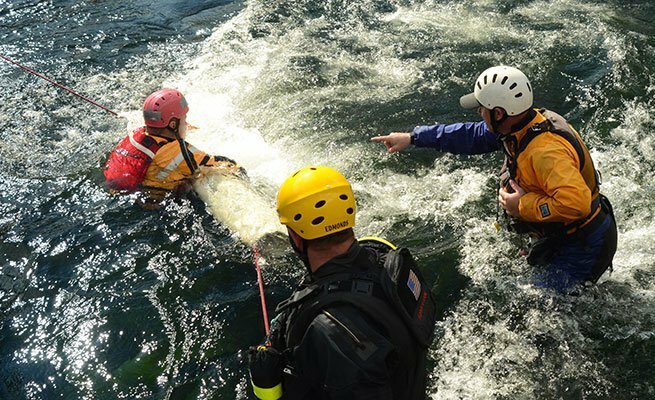 This 2-day intensive course taught by Rescue 3 International Instructors moves beyond the emphasis of self-rescue to concentrate on victim rescue. 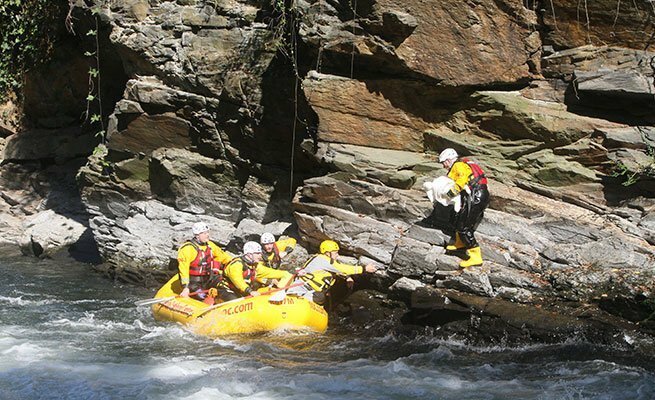 Building on the fundamental skills learned in SRT-1, the STR-A course focuses on victim rescues, flood disaster management, low-visibility rescues, highline systems and river search strategies. 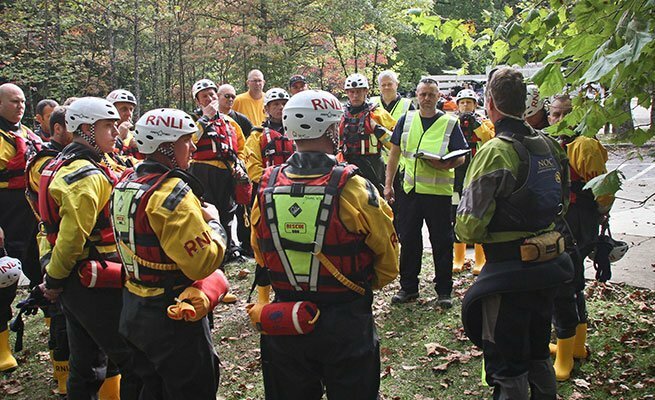 Veteran instructors will guide you through realistic scenarios, including low-visibility and night rescues. 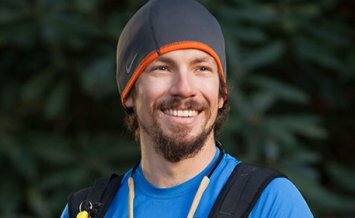 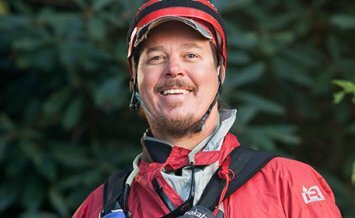 The course takes place at NOC's famous Nantahala River campus in Western North Carolina giving students access to NOC's top-of-the-line equipment and rafts as well as direct access to the fast-moving Nantahala River. 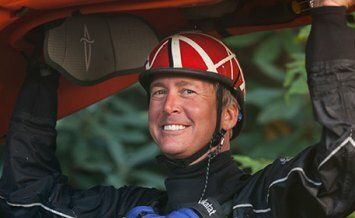 Completion of the SRT-A along with the SRT-1 and TRR:RL satisfies the requirements outlined in NFPA 1670 Surface/Swiftwater Technician Level. 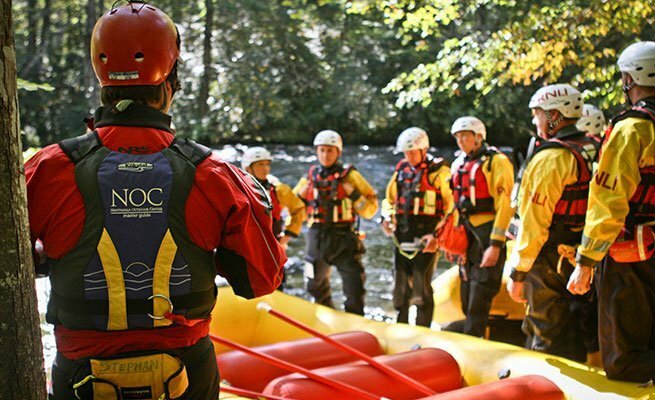 This qualification allows graduates to join Swiftwater/Flood Search and Rescue Teams in accordance to NFPA.